From Goodreads: Annabelle’s life has always been Perfect with a capital P. Then bestselling young adult author Lucy Keating announces that she’s writing a new novel - and Annabelle is the heroine. It turns out, Annabelle is a character that Lucy Keating created. And Lucy has a plan for her. But Annabelle doesn’t want to live a life where everything she does is already plotted out. Will she find a way to write her own story - or will Lucy Keating have the last word? 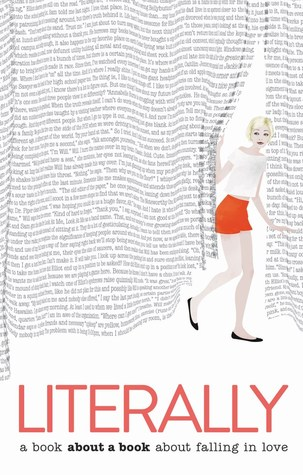 Thoughts on the Novel: Literally by Lucy Keating had the potential to be really interesting. Instead, it turned out to be a rather unoriginal contemporary with a love triangle where there was no doubt about who the protagonist would choose. The idea of Keating incorporating herself into the story was very meta, but I quickly got tired of Annabelle referencing the author Keating’s books, movies, and writing style. I think I would have liked Literally much more had Annabelle realized that she was a fictional character later in the story or Will been written to be less perfect. Literally was released on April 11, 2017 by HarperTeen. In exchange for an honest review, this book was received from the publisher (HarperCollins) for free via Edelweiss. From Goodreads: Saying good-bye to Scotland is the hardest thing that Jenna MacDuff has had to do - until she meets Lord Pembroke. Jenna’s small clan has risked their lives traveling the countryside as masons, secretly drumming up support and arms for the exiled King James Stuart to retake the British throne. But their next job brings them into enemy territory: England. Jenna’s father repeatedly warns her to trust no one, but when the Duke of Keswick hires the clan to build a garrison on his estate, it seems she cannot hide her capable mind from the duke’s inquisitive son, Lord Alex Pembroke - nor mask her growing attraction to him. But there’s a covert plan behind the building of the garrison, and soon Jenna must struggle not only to keep her newfound friendship with Alex from her father, but also to keep her father’s treason from Alex. Will Jenna decide to keep her family’s mutinous secrets and assist her clan’s cause, or protect the life of the young noble she’s falling for? 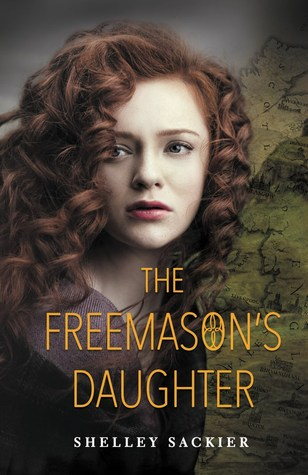 Thoughts on the Novel: I love historical fiction, especially if the setting is in Europe; so Shelley Sacker’s The Freemason’s Daughter was a book that I had to request. Unfortunately, most of the characters could have been better developed, and I thought Jenna was silly for trusting Alex so easily with her and her clan’s secrets. The plot also took a very long time to get going, which meant both the romance and the ending felt quite rushed. The Freemason’s Daughter was released by HarperTeen on April 11, 2017. Literally reminds me of the movie Stranger than Fiction. I'm curious about it so I think I'll pick it up sometime. Not sure of the second book. Oh, no. I'm so bummed that Literally has an annoying love triangle. Ugh. Why didn't I read the reviews first?! Now, I have a copy that I'll probably not read. That's too bad that both of these didn't work for you, but you have good reasons why. Thanks for the reviews! I was really looking forward to The Freemason's Daughter, so it's a shame to hear you struggled with it :( I can generally deal with slower paced novels okay, but undeveloped characters are a bit more of a struggle. It's to bad Literally didn't work out. It has such a promising premise. I thought it was very Stranger Than Fiction-esq. I also don't like the sound of an overly perfect love interest. That would drive me nuts. I would recommend the movie Stranger Than Fiction - similar to Literally, but undoubtedly better executed.